Items relevant to the Grad Cohort program organized by the Committee on the Status of Women in Computing Research (CRA-W). On March 22-23, CRA hosted the second annual Graduate Cohort for Underrepresented Minorities and Persons with Disabilities (URMD Grad Cohort) in picturesque Waikoloa Village, Hawaii. 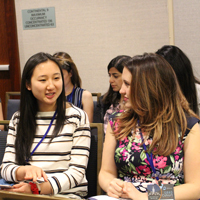 The location provided beautiful scenery as students spent two days learning how to succeed in graduate school and networked with a diverse group of peers and senior researchers. Find out what participants thought about the 2018 CRA-W Grad Cohort for Women in this recently released video. In testimonials collected at the end of the workshop, a resounding theme was the participants’ renewed motivation to complete their Ph.D. 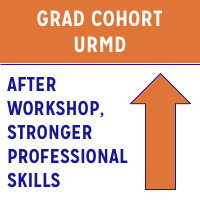 Listen to what participants have to say about the inaugural CRA Graduate Cohort for Underrepresented Minorities and Persons with Disabilities (URMD Grad Cohort) in this recently released video. 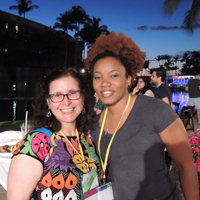 The upcoming CRA URMD Grad Cohort will be held at the Hilton Waikoloa Village in Hawaii on March 22-23, 2019. 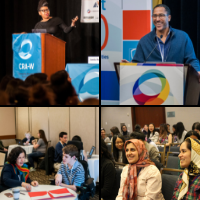 In addition, next year’s CRA-W Grad Cohort for Women will be held at the Hilton Chicago on April 12-13, 2019. Both applications will open in early October. 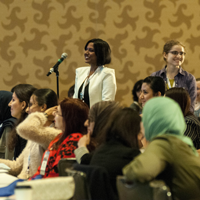 Applications are open for the upcoming CRA-Women Graduate Student Cohort for Women which will be held April 13-14, 2018 in San Francisco, CA. 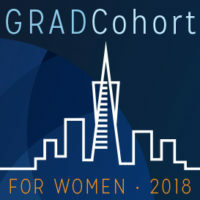 CRA-W Grad Cohort for Women is a two-day workshop for female students in their first, second, or third year of graduate school in computing fields. 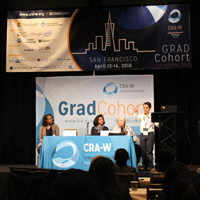 CRA-W recently hosted its latest Graduate Cohort Workshop (Grad Cohort) on April 14-15, in San Diego, Calif. Thanks to support from various sponsors, more than 550 female graduate students in computer science attended the event, up from 365 in 2015. 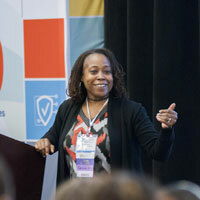 Despite its significant growth, the program remains selective; more than 1,000 students applied for this year’s workshop. 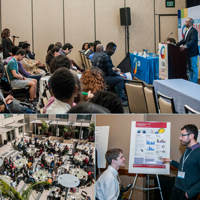 At the gathering, 31 speakers from industry, academia, and government shared their advice and strategies for success in graduate school. 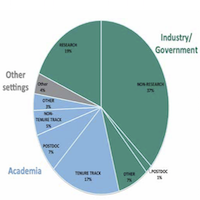 Overwhelmingly, Grad Cohort women are employed in industry/government positions. In 2015, CERP followed up with women who had attended a CRA-W Grad Cohort Workshop between 2004 and 2012. Survey respondents (n = 371) provided the following current employment information: 70% were employed, 26% were graduate students, and 4% who were unemployed. 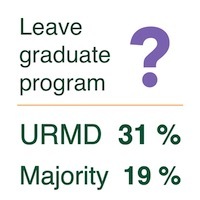 Of those who responded that they were employed (n = 258), 64% indicated they were employed in an industry/government setting, 32% were in academia, and 4% in other settings.